Renting and dealing with logistics is burdening for startups: costly and timely. Some coworking spaces are attempting to change that. Antwork is a ‘campus’ trying to build a model for startups to share one backbone, and not worry about logistics and administrative requirements. With a background in real estate, CEO and cofounder Zina Bdeir Dajani talks in this video about the pain points in the Lebanese infrastructure, and how Antwork is approaching that challenge. 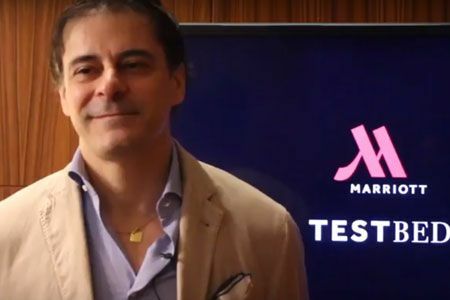 “We want to create a collaboration between startups to meet, work together and build on one another’s experiences and services,” Dajani explains in the video. Focusing on the technology more than the physical space, Antwork’s model is meant to be agile and easily adapted by different entities such as incubators, coworking and even coffee or retail shops. 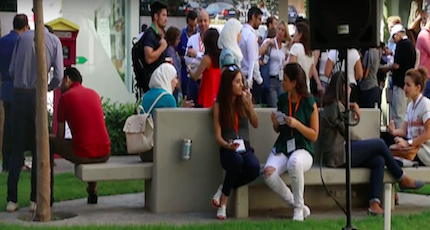 Antwork launched in 2016 in Beirut after raising seed funds from private investors, most of which are Lebanese diaspora.